I am a BACP registered counsellor, supervisor and trainer with many years experience of working in the public, private, education and voluntary sectors. 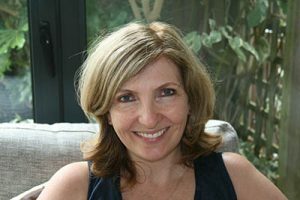 I have an independent practice in Teddington (TW11), where I offer both short- and long-term person centred counselling to young people and adults. I aim to offer a safe, non-judgemental, supportive space for you to explore issues and concerns and feel heard and understood. I have experience of working with a range of concerns including: abuse, anger, anxiety, depression, disability, eating disorders, health related issues, loss, low self-esteem, relationships, self-harm, sexuality, stress and longstanding issues from childhood. I also welcome enquiries if you are finding it hard to define what is pushing you to seek counselling – maybe a sense of emptiness, isolation or feeling that you can make more of your life. As a member of BACP and HCPC, I ensure that I get regular supervision, training and support from my colleagues so that you can feel confident in our work together.